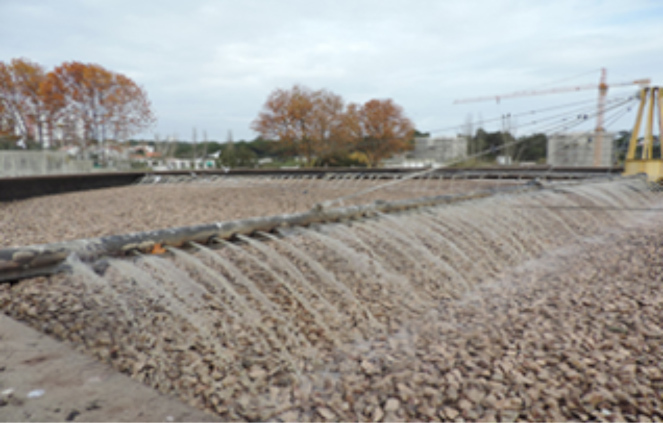 During the years 2014 to 2016, a complete remodeling of the QUINTA DA BOMBA WWTP in Almada-Seixal (south of Lisbon-Portugal) was carried out to adapt it to the present flows and until 2030 horizon replacing the mineral media of trickling filters with the plastic media BIOFILL® made by BIOLOGÍA Y FILTRACIÓN S.L. (BIO-FIL), at the same time that improvements were made in the other processes of the plant. The discharge of the waters is carried out in the estuary of the river Tagus in Corroios. In 2010 the remodeling design of the plant started. Works started in 2014. Computerized view of the remodeled plant. The executive project of the remodeling was carried out by ABB GROUP (Alexander Barbosa Borges), which subcontracted BIOLOGÍA Y FILTRACIÓN S.L. (BIO-FIL) for the redesign of trickling filters and supply of the plastic media. In this case the order was to maintain the design of high load just like the current project, but with a plastic media of high efficiency since in the initial project the media was stone. 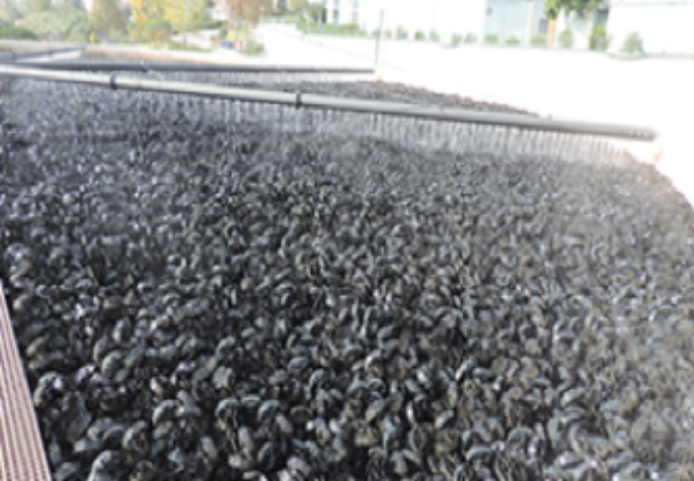 The operation consisted in emptying the mineral media of each bed one after the other, repairing the walls and bottom of the tanks, installing the new BIOFILL® TYPE B media and installing new rotary water distributors. The initial Quinta da Bomba EDAR project dates back to 1989, for a population of 194,900 H.E., includes a solution of biological treatment with high load trickling filters and chemical conditioning of the sludges by flocculation with polymers and subsequent mechanical dehydration. The solution took into account the limited space available and working environment conditions, as well as minimizing environmental impacts, including odors and noise. The sewage treatment plant at Quinta de Bomba treats the sewage of Almada and Seixal. It came into operation in 1994, and biological treatment has been designed using high load trickling filters equipped with a mineral media. 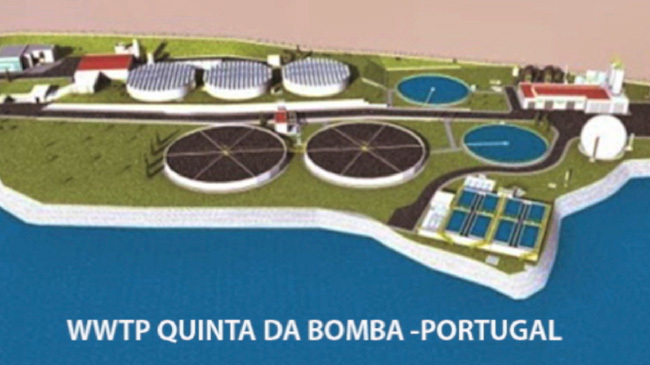 During its useful life, the Quinta da Bomba WWTP has been the object of optimization and permanent improvement of mechanical equipment (rejection supernatants of primary clarifiers, sludge dehydration equipment, submersible pumps). In the beginning the pretreatment had only a roughing grid with a 20 mm mesh light, until in 2007 a 3 mm fine sieve was added. The primary settlers were covered and deodorized by chemical washing of the extracted air. The need to be able to treat a higher flow rate due to the population growth and the low efficiency offered by the mineral media installed raised the need to replace it with a plastic media of high efficiency. Trickling filters imitate what happens in nature alongside the course of a river. In the purification of waste water, trickling filters have always occupied a prominent position. Its application comes from the end of the 19th century, but its effectiveness did not go beyond 50%, due to the use of mineral medias: gravel, volcanic stone, anthracite, etc. This has changed since the introduction of plastic media, which have increased the contact surface between water and microorganism colonies and the passage of air for the oxidation of organic matter and the endogenous respiration of bacteria. BIOFILL® plastic media have been designed to be a valid alternative to all these media, allowing the trickling filter to be rehabilitated as the most efficient, safer and more economical process for the purification of all types of effluents. A trickling filter is a biological fixed biomass bed purification system, which operates under aerobic conditions. The residual water to be purified is sprayed on the media that forms the filter, by means of a rotating mechanical system that in general will be hydraulically driven, without need of electrical energy, only when the trickling filters have an extremely large diameter, a low power gearmotor will be installed to ensure the movement of the system, which surpasses its weight inertia. In the particular case of trickling filters, we have to take special consideration with aerobic microorganisms, the main and best constituents of the biological film present in this type of installations. The amount of oxygen in the water controls the development of bacteria and as a consequence determines the degree of purification that can be obtained. A content of 0.5-1 mg/l of dissolved oxygen is sufficient to keep the purification process active. The removal of organic matter from the effluents occurs through an intimate contact between the bacteria, which are forming the biomass, and the water that passes over them. The biological treatment of any residual water is carried out by microorganisms that are grouped in colonies, forming the biomass present in the trickling filter. 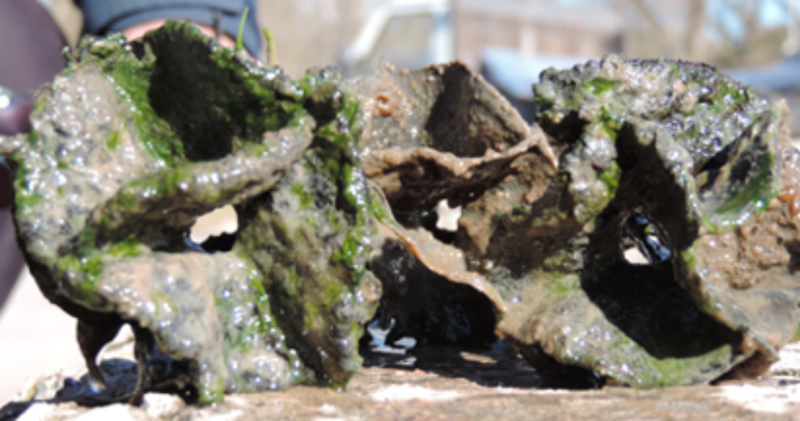 The main components are: rotifers, bacteria, protozoa, fungi, worms and larvae. The variation of their presence, whether numerical or qualitative, conditions the whole process of water purification. 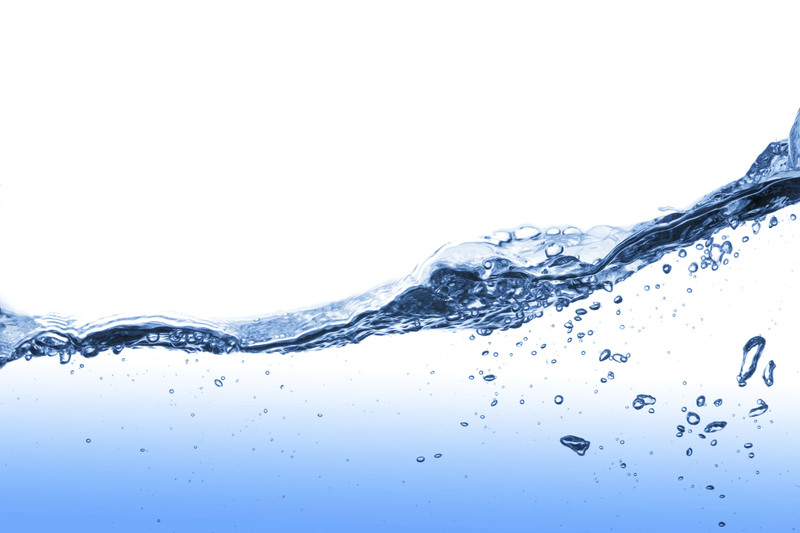 BIOFILL® plastic media have been designed to be a valid alternative to all mineral media, allowing the rehabilitation of trickling filters as the most efficient, safe and economical process for the purification of all types of effluents. Guarantee of results for the users. All models of BIOFILL® plastic media are made by injection of special technopolymers that have high mechanical characteristics and a great resistance to the chemical, physical and biological agents with which they come in contact during their use. The largest useful surface area for carrying out the biological purification process. The longest retention time of the water and consequently a high contact time between the effluent and the biomass. A high air presence in the entire mass of the media and consequently of the oxygen, essential for the aerobic process that it is desired to develop and use. The continuous interruption of the liquid flow in order to avoid undesirable formation of channels. It is important to fractionate the downstream fluid by reducing it to thin layers of fine droplets to maximize the oxidation process. The elimination of preferential roads and flooding that can cause clogging and the appearance of anaerobic conditions. The best habitat for the establishment of bacterial colonies, by means of specially rough surfaces. Other existing plastic medias present, due to the imperatives of extrusion manufacturing, completely smooth surfaces. The lowest known density among the filter materials and consequently the highest surface area / weight ratio. The combination of all these advantages that are not found in other fillers allow to qualify the BIOFILL® as the most effective and safe media for filtration processes with trickling filter. In the case of Quinta da Bomba the installed media is type B-1. More information about BIOFILL® B-1 PLASTIC MEDIA. High charge filter. This design is normally used for a first stage secondary treatment, ie, for an organic load elimination of not more than 60-70%. The working load will normally exceed 1 g of BOD / m3 of medi. Medium charge filter. This design will be used as a standard secondary treatment, that is, to eliminate organic matter higher than 90%, and it can be achieved up to a 98% removal of BOD. The working load can range from 0.4 to 1 g of BOD / m2 of media. Low charge filter. This design is used as a secondary nitrification treatment, that is, in addition to achieving a BOD elimination efficiency of up to 98-99%, an important degree of nitrification is achieved, being able to reach a total nitrification depending on the mass design, this will always be less than 0.4 g of BOD / m2 of filler. The lower this is, the greater the degree of nitrification.